Raptor monitoring in the Black Forest biosphere reserve: recording of breeding sites and rest areas of the Red Kite. In cooperation with ABL Freiburg. Client: Biosphärengebiet Schwarzwald und NABU Landesverband Baden-Württemberg. Period: 2017 – 2018. Assessment of adverse effects of various Bt toxins on lepidopteran larvae. Client: Bundesamt für Naturschutz (BfN), Bonn. Period: 2016 – 2018. Recording of Red Kite nests in the area of the planned wind power stations 'Rohrenkopf' and 'Hasel' (Black Forest). Client: Windkraftgegner Gersbach. Period: 2016 – 2017. Survey of the butterfly community of the Samerberger 'Streuwiesen' (litter meadows) and 'Quellmoore' (spring fens). Client: Landratsamt Rosenheim, Untere Naturschutzbehörde. Period: 2016. Assessment of the operability of the database Edaphobase for gmo monitoring purposes within the framework of the soil information system of the BMBF. Client: Senckenberg Gesellschaft für Naturforschung, Frankfurt. Period: 2013 – 2016. AMIGA research project “Assessing and Monitoring the Impacts of Genetically modified plants on Agro-ecosystems”. Butterfly monitoring in Romania, Spain and Sweden, and development of an European-wide monitoring concept. Client: European Commission, 7th EU Framework Programme. Period: 2011 – 2016. Monitoring butterflies in low-intensive farmland of Romania. Client: Freiwillige Akademische Gesellschaft (FAG), Basel, Schweiz. Period: 2015. Survey of birds of prey, owls and woodpeckers in the range of the planned wind power stations „Tännlebühl” and “Vögelestein” (Black Forest, Germany). Client: Bürgerinitiative zum Schutz des Hochschwarzwaldes e.V. St. Märgen, and PAN München. Period: 2014 – 2015. 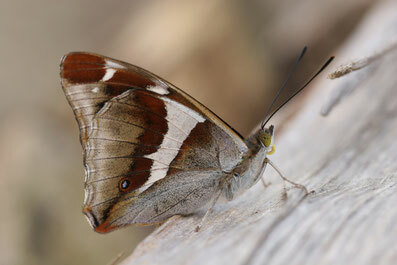 Biodiversity monitoring Switzerland (BDM): Field monitoring of butterflies. Client: Hintermann&Weber AG, Switzerland. Period: 2006 – 2015. Monitoring of the breeding sites of the Red Kite and the Black Kite in regions of Baden-Württemberg suitable for windpower. 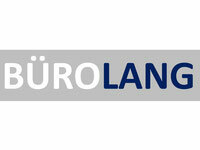 Client: ABL Freiburg and LUBW Karlsruhe. Period: 2014. Guidelines for butterfly monitoring approaches to survey the effects of transgenic crops in Switzerland. Client: Bundesamt für Umwelt (BAFU), Switzerland. Period: 2013. Potential usage of the volunteer butterfly monitoring scheme in Germany for monitoring transgenic crops. Client: Bundesamt für Naturschutz (BfN), Bonn. Period: 2010 – 2012. Development of a mathematical model simulating the effect of Bt maize cropping on non-target butterflies. Client: Bundesamt für Naturschutz (BfN), Bonn. Period: 2011 – 2012. Exposure and possible hazard of the butterfly community in protected sites through cropping of transgenic plants. Client: Bundesamt für Umwelt (BAFU), Switzerland. Period: 2011 – 2012. Feeding ecology of larvae of the Small Tortoiseshell (Aglais urticae) on nettles (Urtica dioica). Client: Bundesamt für Naturschutz (BfN), Bonn. Period: 2011. Monitoring the possible effects of transgenic crops on butterflies: lessons from long-term routine monitoring schemes in Switzerland. Client: Bundesamt für Umwelt (BAFU), Switzerland. Period: 2010. Promotion of butterfly diversity on grazed farmland of two organic farms in the Swiss Jura. Client: Forschungsinstitut für Biologischen Landbau (FiBL), Switzerland. Period: 2007 – 2008.